Was inspired by an article in my favourite magazine Craft Stamper about CAS cards with distress inks and bleach. I thought I'd give it a try for this months contest at Hero Arts. 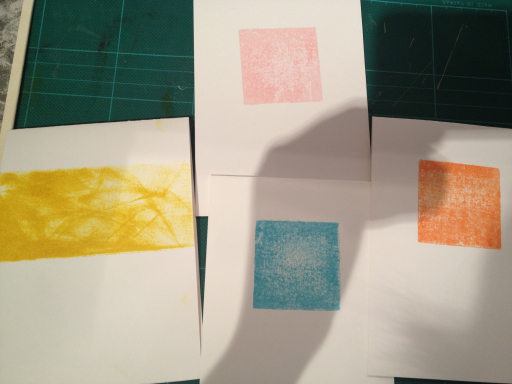 I made three of them by just pressing directly on the cards, and the fourth by swiping the pad on a masked area (not finished with that one though, so I wont write anymore about it). After that I stamped with black StazOn (cause that wont bleach). A fish for Tumbled glass, Hero Arts flower from Bee Happy on Dried marigold and HA ice cream from Life of the Party Birthday on Spun sugar. After it had dried I took bleach (Klorin) on a brush, and applied it where I wanted the white to re-appear. On the image below I've added it on the ice cream. I then added HA Happy Birthday from Frame a Message on the ones with HA stamps. Leaved the fish for now, don't know what message to use for that. 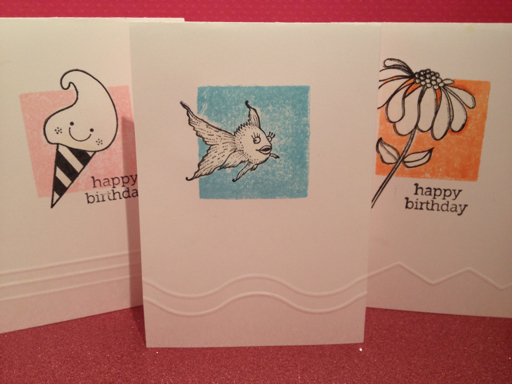 Finally did some dry embossing on the bottom of the cards, trying to make them match the motif (like waves for the fish). Great idea and I love how the cards came out!! Not sure how your embossed the bottom of each card, but it's a great extra touch and I really like it!! PS: Not sure if you know, but you have WORD VERIFICATION turned ON? I hope my comment works, as I'm terrible with word verification and often give up on my comments, because I never guess the words and numbers right!! Hope you see this!! About the embossing, I have a pink 'briefcase' from Crafters Companion with different traces to use. I think it's called the Ultimate. 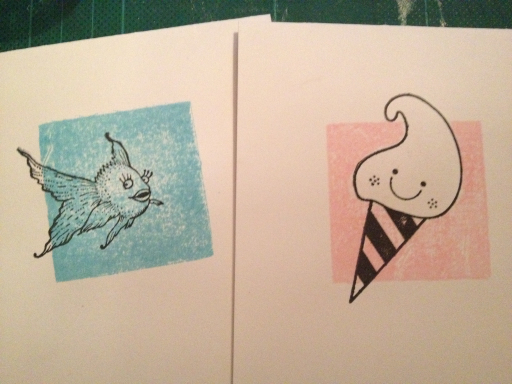 These are fantastic, Marina! I love how they look masked and the scoring on the bottoms adds just the right amount of texture!